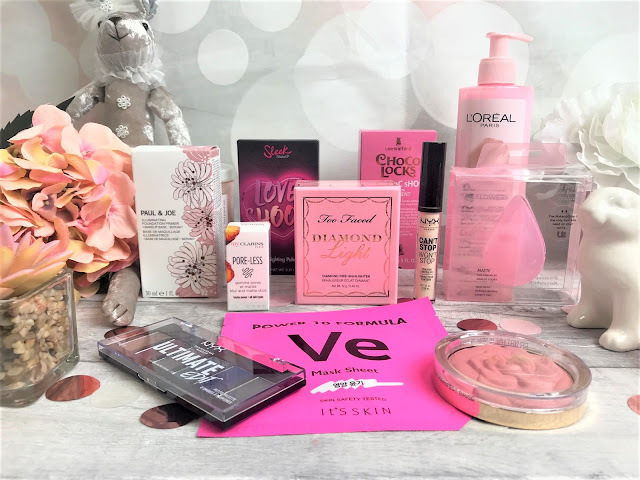 Okay, so very unintentionally, there is a bit of a pink theme going on with my March Favourites! There have been so many new releases lately, and I have also re-discovered some old favourites, so we had better crack on as there's a lot to get through. 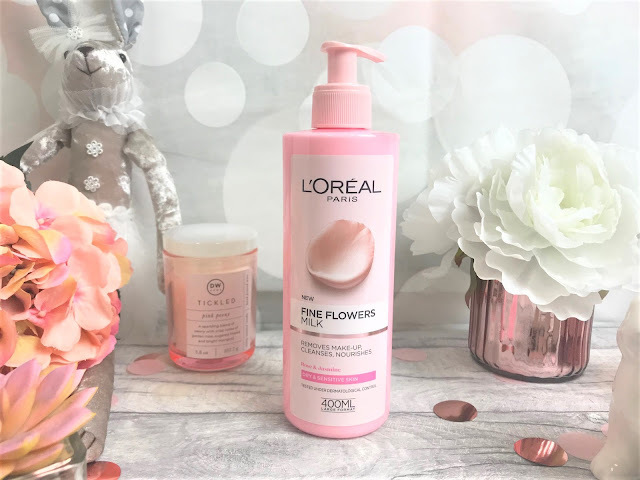 Starting with skincare, I have been using and loving the L'Oreal Fine Flowers Milk (£5.99 for 400ml). I am so in control with my skincare now, and I do find it makes such a difference. This makeup removing milk contains extracts of rose and jasmine and is perfect for dry and sensitive skin types, both of which I have (along with oily, my skin is a circus). I use this morning and night, whether I have makeup on or not, to cleanse my skin and I love how soft and gentle it feels on my skin, even though it manages to rid my face of makeup and dirt. It comes in a huge bottle, and so this lasts you ages, and it leaves my skin feeling so much softer and soothed. You can find it in-store or online at Boots. 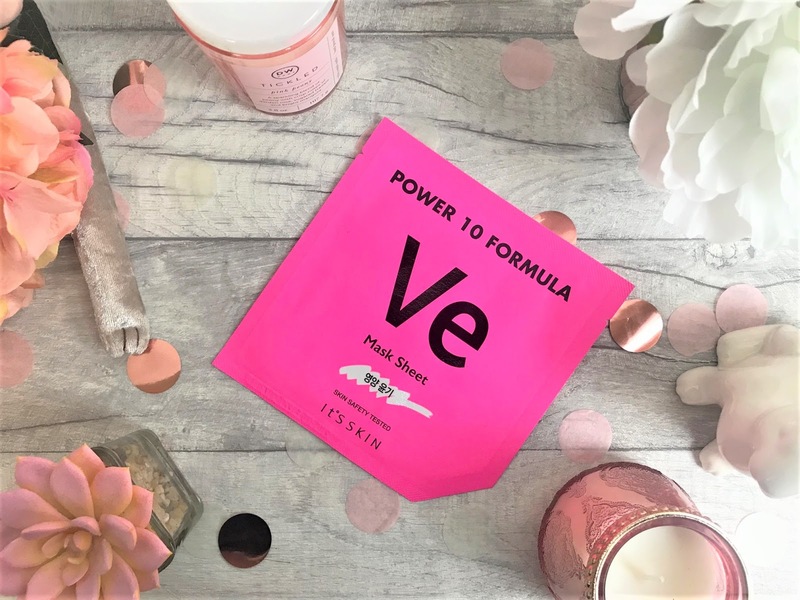 A skincare brand which I have recently been trying is It's Skin, and I loved their Power 10 Formula Mask Sheet* (£6.00). It comes in neon pink packaging, and yes good packaging is always a winner for me, and contains one sheet mask. They have various masks for different skin types, but this one is perfect for dull and dry skin, so when your skin needs a little boost. The sheet mask contains a serum which has been formulated using Vitamin E to protect the skin from environmental aggressors and leave the skin feeling soft and smooth. I found that this left my skin feeling invigorated and my complexion looked a lot healthier. You can find it online at Beauty Bay. Clarins recently released their My Clarins skincare collection, aimed at younger skin, however, even though I am slightly older than the recommended age, I really wanted to try the My Clarins Pore-less Blur & Matte Stick (£15.00). It comes in a little tube which is perfect for popping in your handbag, or for travelling with when your pores need a little touch up. I suffer from quite bad pores, and I simply smooth this over my pores before I apply makeup, so that it helps to blur them out, which in turn helps my foundation to sit better on my skin. It also gives a mattifying effect, so if you do also suffer from an oily T-Zone, this is going to keep shine and oil at bay throughout the day. You can find it online at Clarins. 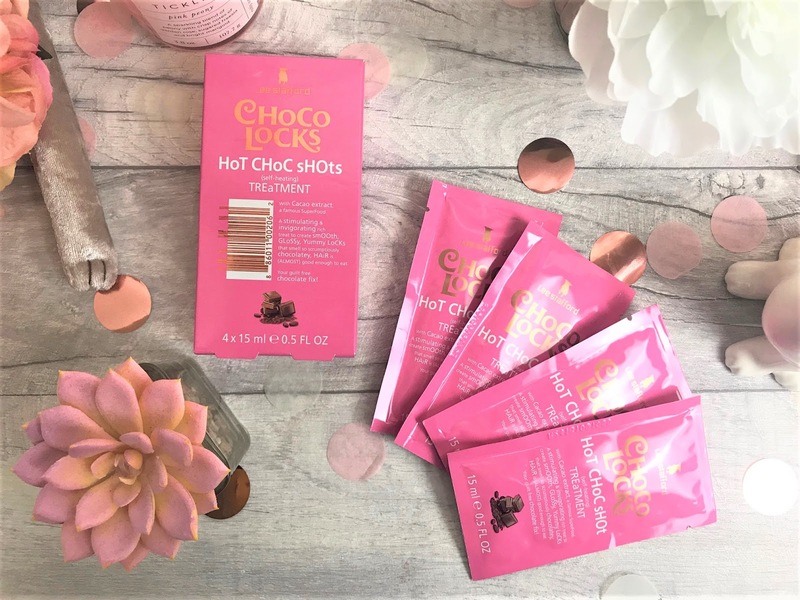 I have done quite a few individual hair care posts this month, and so I have just the one today that I haven't already covered, the Lee Stafford Choco Locks Hot Choc Shots Treatment* (£7.99 for four sachets). This dreamy-scented hair treatment is a great way to give your hair some attention - who doesn't love chocolate-scented products? These are self-heating treatments which condition and nourish the hair, and leave it looking super healthy and glossy. You only need to leave on for a maximum of five minutes before rinsing off with cold water, so you can even pop this on in a morning whilst you are having a shower, for hair which looks insta-worthy all day long. You can find them online at Boots. I have seven (!!) 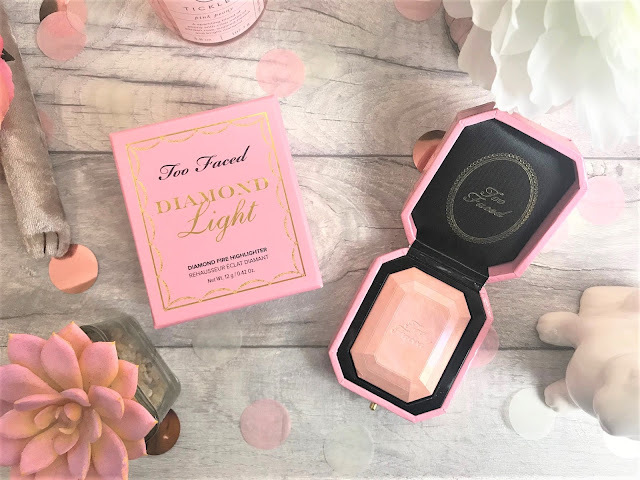 makeup favourites this month, starting with the Too Faced Diamond Light Highlighter (£28.00). I do have one of the other shades from last year, but when I saw the beautiful light pink tone of Fancy Pink Diamond, I knew it would suit my skin tone perfectly. This is from the Too Faced Pretty Rich collection, and comes in some of the best packaging I have seen - in what looks like a padded ring box - seriously Too Faced, I can't even! You get a good-sized pan of highlighter here which looks like a diamond, and the light pinky-peach tone is so pretty on lighter skin tones. I would definitely recommend this if you are looking for a new highlighter. You can find it in-store and online at Debenhams. Due to my endometriosis, my skin changes all the time, and I have been struggling with my usual favourite primers. 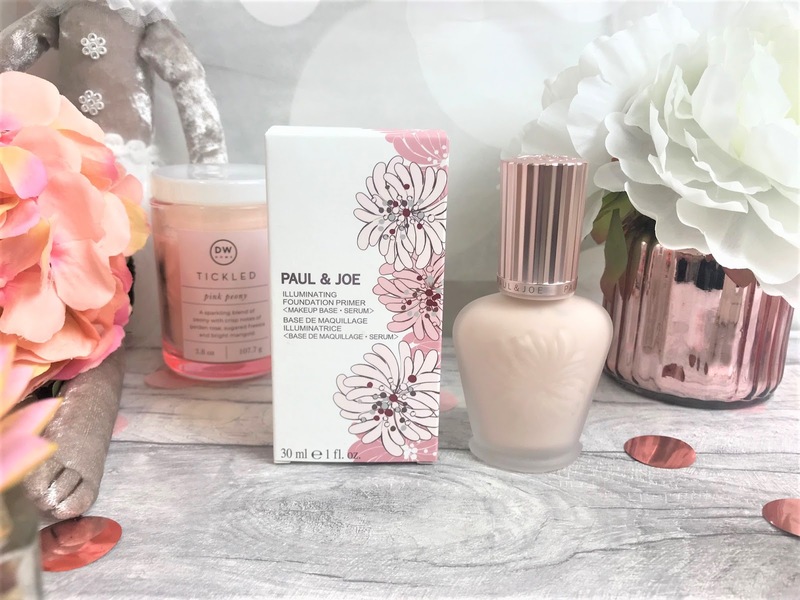 My skin has needed something more illuminating, and so I have been reaching for the Paul & Joe Illuminating Foundation Primer* (£18.00 for 30ml). As with all Paul & Joe products, this primer comes in the most gorgeous glass bottle, and has a pump applicator for easy release. The product itself looks and feels a little like a foundation, but once massaged into the skin, it goes translucent, and leaves a healthy, but natural radiance to the skin. I love that it doesn't feel thick on the skin, and feels lovely and refreshing once it has worked its way into the skin. As well as a glowy effect, this primer also plumps up the skin slightly, and who doesn't love free natural botox? You can find this online at Feel Unique. 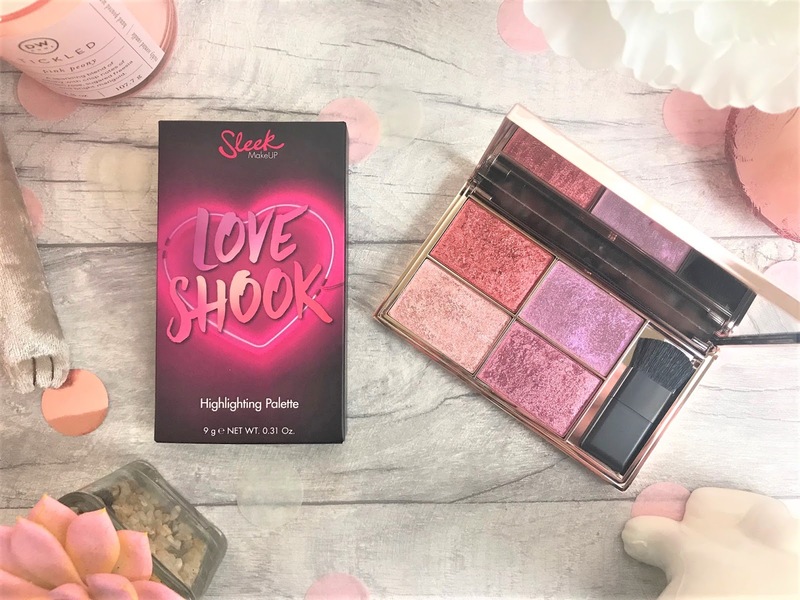 Sleek have released another one of their popular highlighting palettes, the Sleek Love Shook Highlighting Palette (£9.99). When I ordered this, I thought that I would be able to use a couple of the shades for my light skin tone, but as the powders are SO pigmented, I am not able to use a single one as a highlighter. So, why is it in my favourites? They make the prettiest eye shadows! 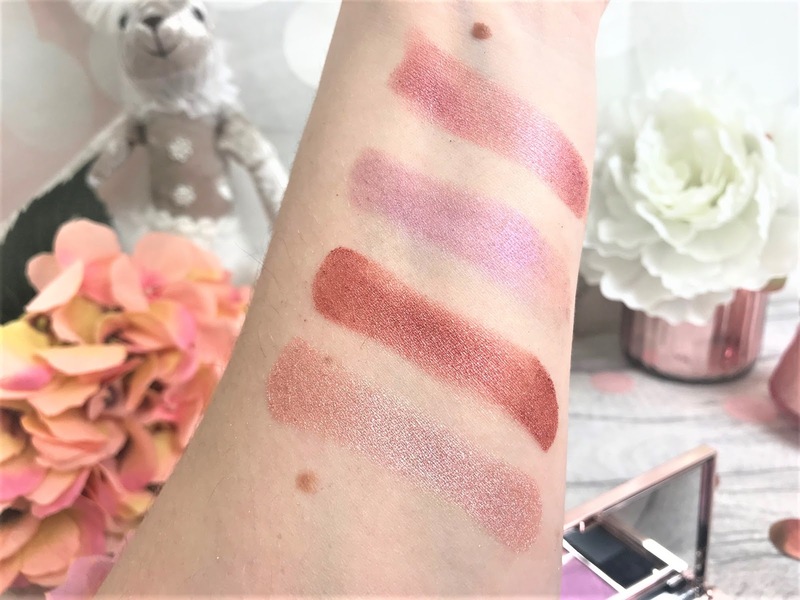 Yes, that's right, I have been using these stunning shades as eye shadows, as the pigment is unreal and I love shimmery and glittery eye shadows and these colours are right up my street. You can find the palette in-store and online at Boots. Keeping with the cheeks, I love the Milani Powder Blush in the shade Tea Rose (£12.00). I discovered Milani years ago in America, and I am so glad they are in the UK. 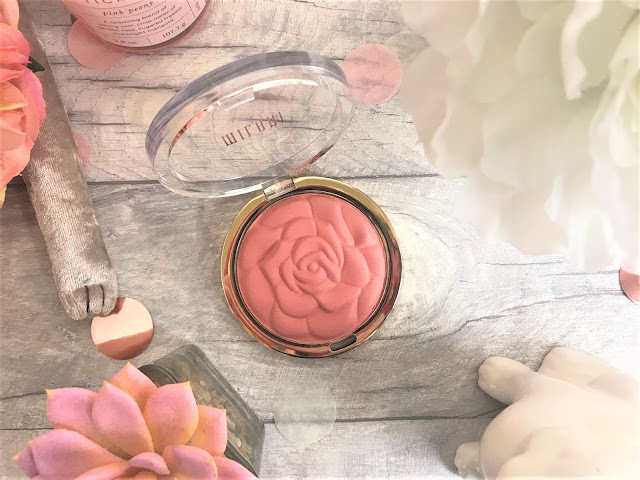 This gorgeous blush has been created into the shape of a rose, and Tea Rose is a pretty peach shade, great for adding a pop of colour to lighter skin tones. The blush is finely milled and well-pigmented, so you only need a small amount, or you can go all-out depending on the amount of colour you are wanting. During the colder months I haven't been using blush as often, but now that it is Spring, this is the perfect shade to brighten my skin. You can find it online at Beauty Bay. As mentioned, my skin changes regularly and sometimes I don't get an even finish with my Beauty Blender, so an alternative tool I have been using to apply my foundation is the MakeupDrop Matte* (£18.50). 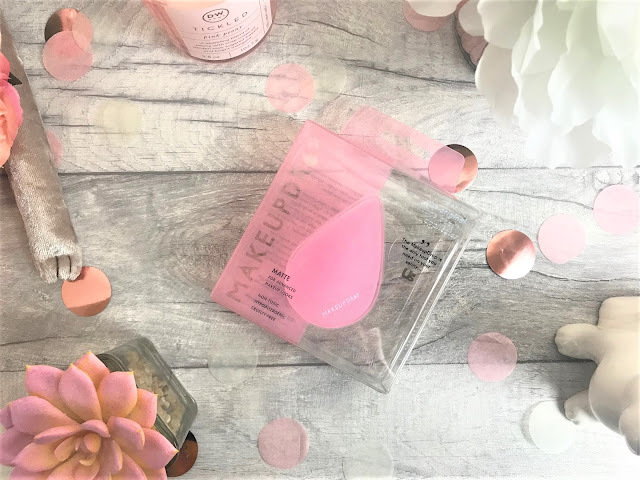 This is a silicone beauty applicator which you can use for skincare and liquid makeup products, and when using this kind of applicator, there is no loss of product as it can't soak up liquids. MakeupDrop is super easy to clean too, simply wipe it with water or a wipe, and the thing I love most about this tool is that you can pop it in the freezer and apply on your eyes to help de-puff the eyes, and as someone who is constantly tired, this has been heaven to me on a morning. You can find it online at This Is Beauty Mart. 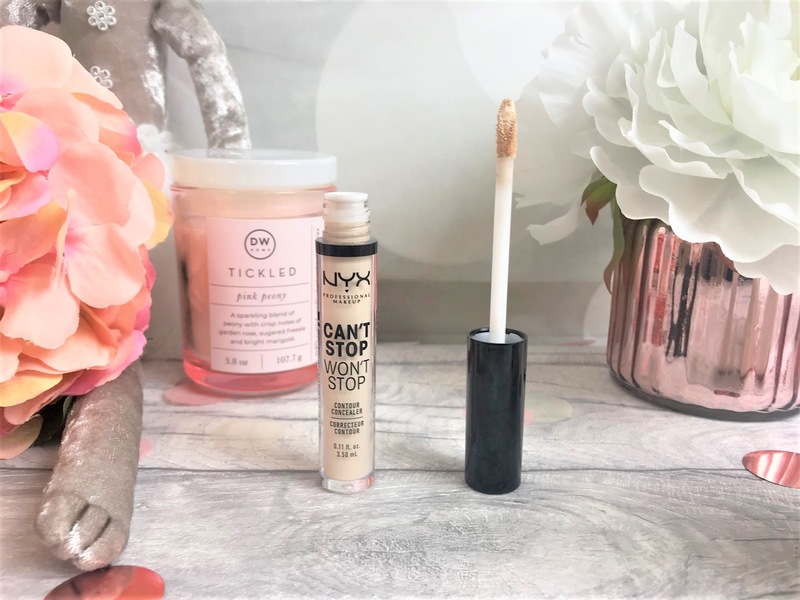 Many of you will probably of heard about the NYX Can't Stop Won't Stop Concealer (£8.00), and it is definitely worth the rave reviews. The concealer comes in 24 shades - go NYX! - and gives intense coverage. It blends like a dream, and is really pigmented, ensuring you get excellent coverage. 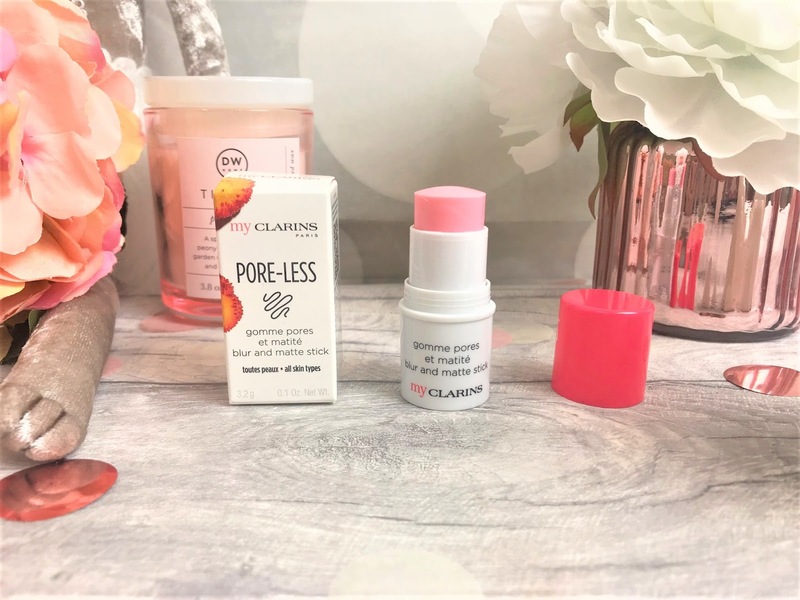 Even though the formula feels quite thick, it does feel lightweight on the skin once it is blended in an I found that it didn't budge by the end of the day. It does state that it gives coverage for up to 24 hours, but I am not a big enough party animal to try that out. I have the shade Fair, and whilst this works for me now, it is quite on the light shade, even for my skin, and so come Summer I would definitely have to go for a warmer tone. You can find it online at NYX. 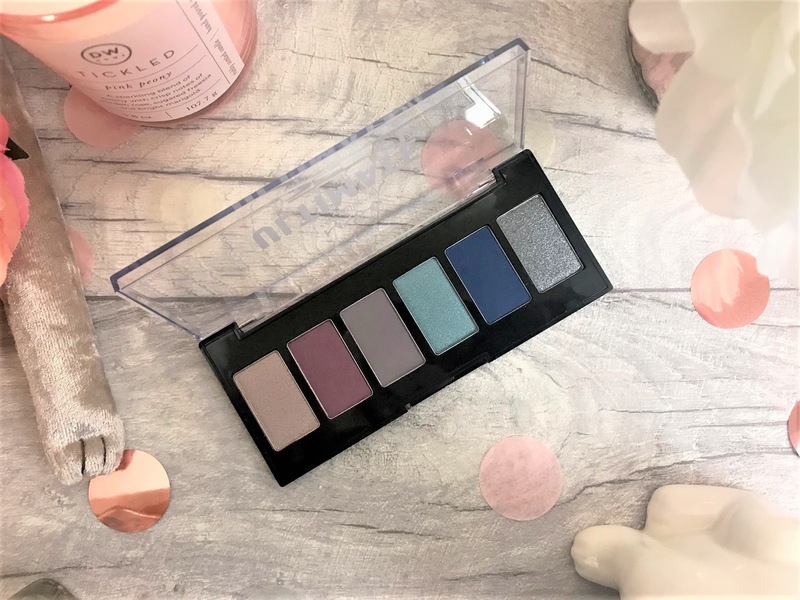 NYX have also released some petite eye shadow palettes recently, in four different colourways. I have really been enjoying the NYX Ultimate Edit Eye Shadow Palette (£7.00) in the Ash variation. Each palette contains six eye shadow shades, and Ash includes three matte and three shimmer finishes. The colours are a mink shimmer, burgundy matte, taupe matte, aqua shimmer, navy matte and dark grey shimmer. 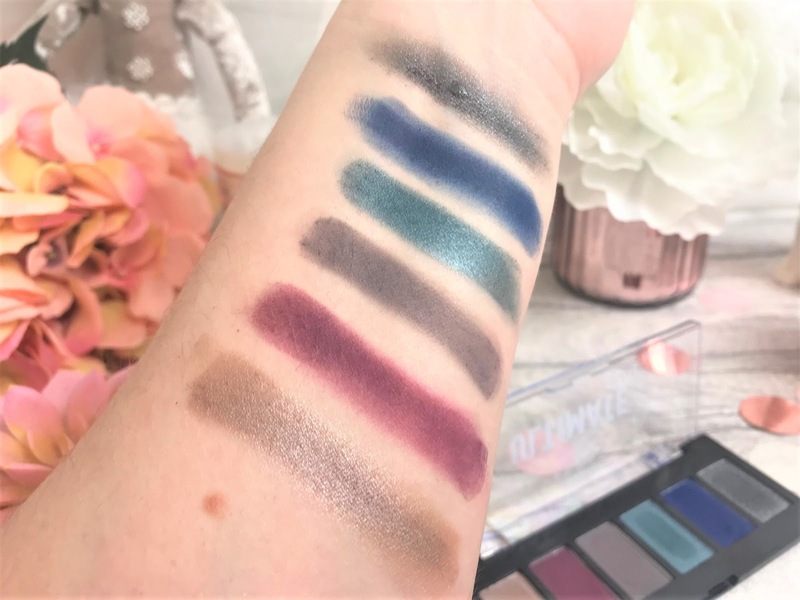 They are all so different, but you can create some lovely looks with these, and even though some of the shades look a little more suited to Autumn and Winter, the shimmers are going to take you right through to Spring and Summer - shimmery aqua eyes? Yes please! You can find the palette online at NYX.